Synopsis: These brothers had a lot in common, but after ridiculous headgear was canceled out by ridiculous eyewear, it took a "Big Daddy" to win the day. The bigger bust goes to Topps....they had the names switched around. 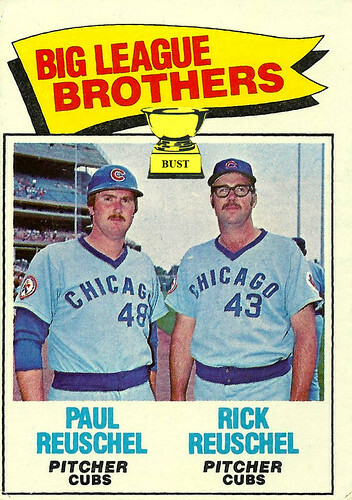 Rick is pictured on the left, Paul, with the glasses, is on the right. Good knowledge -- I thought that didn't look right.